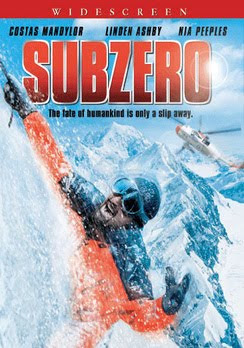 Sub Zero is very enjoyable. It's a silly DTV spin on Cliffhanger (1993). The plot is about six climbers who have to deactivate a bomb on a mountain. The bomb looks like a Rubik's cube. If it goes off it will destroy the world. You don't watch a Jim Wynorski movie (the alias this time is Jay Andrews) and expect a masterpiece. The acting is above-average for this type of film, the performances that stand out are Linden Ashby and Nia Peeples. The cast looks like they are having fun with the script. The special effects aren't the greatest, but who cares. In the end: If you want to laugh and be entertained, you can't go wrong with Sub Zero.